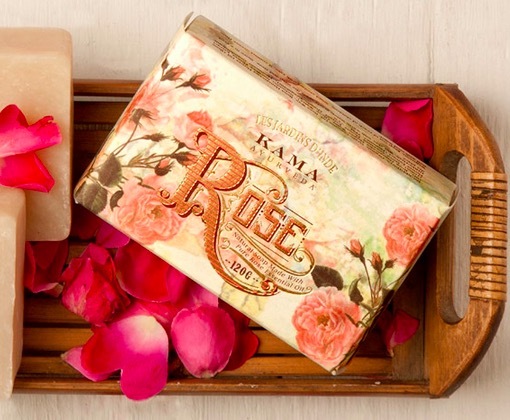 Kama Ayurveda, a well known ayurvedic beauty brand has recently launched a new Natural Rose Soap. The soap is formulated with pure essential oils, rose water and virgin coconut oil. 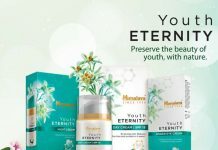 It cleanses the skin well and leaves the skin soft, smooth and nourished. 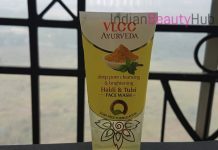 It removes dead skin cells and also helps to maintains the skin’s pH level. The anti-bacterial and anti-fungal properties of Kama Rose soap makes it ideal for treating many skin allergies. 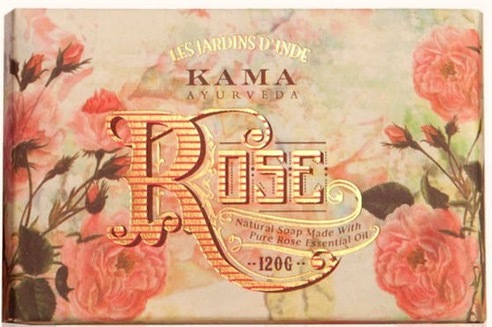 The price of the Kama Ayurveda Natural Rose Soap is Rs.495 for 120g and you can buy it online from kamaayurveda.com. Kama Ayurveda’s Natural Rose Soap is a perfect blend of Rose Essential Oil, Pure Rose Water and Extra Virgin Coconut Oil. Rose essential oil has antibacterial, antifungal and antiviral properties, which makes this soap ideal to topically treat a host of ailments. Rose Water purifies the skin and maintains the pH level. 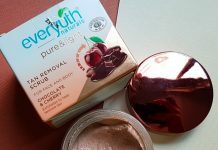 Extra Virgin Coconut Oil is rich in fiber, vitamins and minerals, which helps to relieve dryness, remove dead skin cells, it contains natural antioxidants which increase the elasticity of the skin and delay ageing. Being a natural handmade products there are bound to be variations in scent, shape and colour. Wet skin with warm water; gently apply the soap and rinse. Store in a cool, dry place.